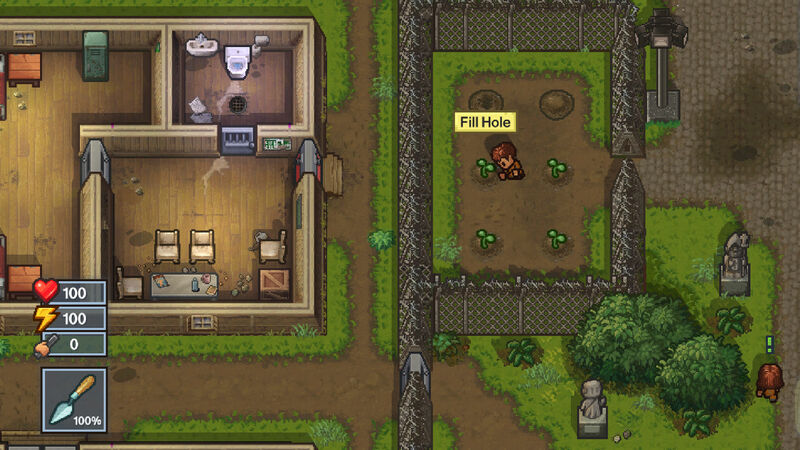 Continuation of the popular escape simulator from prison The Escapists 2 was again developed by Team17. You have to play for a criminal who plans a grand escape. At the beginning, you need to select a character (set appearance and name). You find yourself in the most guarded place. Go to the dining room, shower, for a walk and again behind bars, spend your personal time. After the end of the day, progress is saved, and you will be able to load a control point in the event of a mission failure. Do honest work and build relationships with other prisoners. 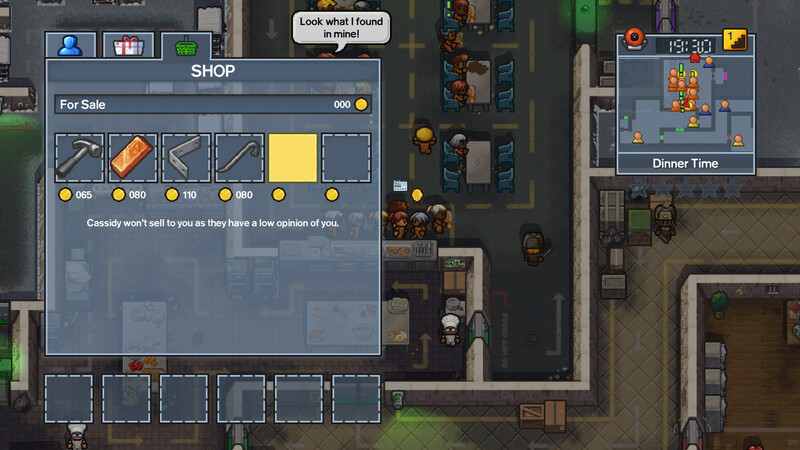 You can get the forbidden objects or arrange a fight, and then the respect from the cellmates will increase. If it is low, then expect that people will hand you over to the guard at the first opportunity. The most important thing is to arrange an escape. 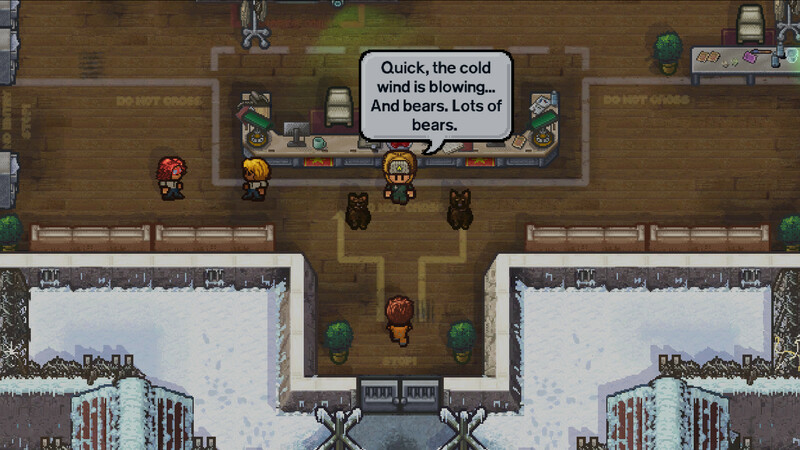 The player must independently choose the method. However, this is not so difficult to do. It is enough to pump the hero, to study all the exits and to develop a small plan, and in one day to implement it. Closely monitor the number of guards. Or invent your unique way to escape. Features: Compared with the previous part, added 5 stars of crime. The interface can now be minimized. In the security room there will be a box with weapons. You can steal the barrel and make a mass riot. There was a full-fledged combat system — now you can strike (weak or strong) and put blocks. Use a cold steel weapon to gain an advantage in combat. Many items for crafting have been added. Cross the items to get a weapon, an electric shocker, a pickaxe, a shovel and other useful things. The long-awaited multiplayer — now you can go campaign with friends or play the role of «guard» and prevent other players from making an escape. Download & install Update v1.1.8 / v1.1.9 / v1.1.10, in game folder. Copy the contents of the folder «CODEX» in the folder with the game. This game has been updated 11-04-2019, 04:08 to the latest version v1.1.10.